Killer Instinct | Gold Skin Pack 8 now available! It’s been a long time coming but wait no longer! Gold skin pack 8 is finally here. 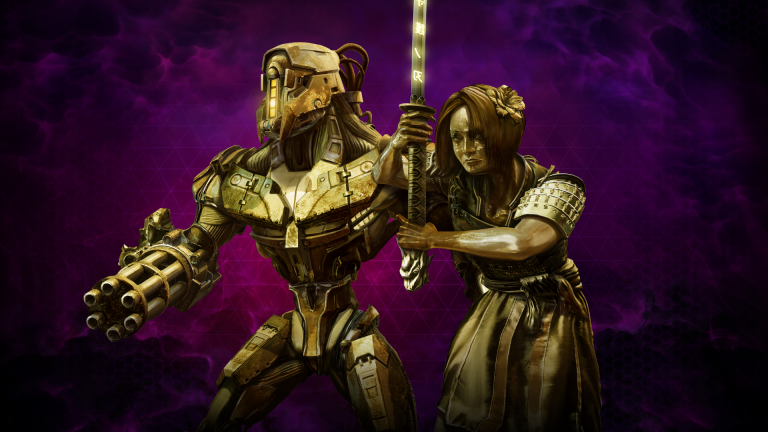 That’s right, starting today you can add some polish and shine to Kilgore and Shin Hisako and get them sparkly – just in time for the holidays. Well? What are you waiting for? Why are you still here reading this? Head over to the store, purchase the pack, gild your fighters, and go dazzle your opponents!